Great News for VIP Registrants at Phase 2 of the Coquitlam Burke Mountain Heights Homes for Sale! Foxridge Homes would like to thank you for your patience as we wrap up our first phase and prepare for the highly anticipated second phase at Burke Mountain Heights Coquitlam real estate development. We had originally hoped to start marketing the second phase of this new Coquitlam development in the summer of 2010 but due to good weather our developer, Wesbild, was able to service the land faster than expected! 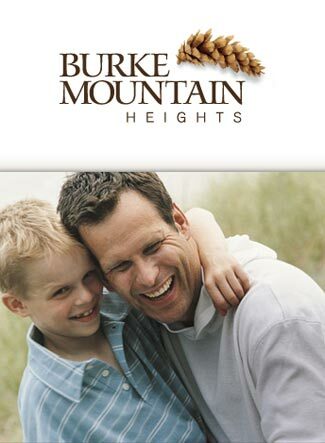 That being said, we expect to have some new Phase 2 Burke Mountain Heights Coquitlam homes for sale this Spring 2010! Phase II of the Burke Mountain Heights Coquitlam home community will consist of 72 presale homes nestled on the north east side of Wesbild’s Master planned Mountain Community. We will be building the same spectacular floorplans as we had in our Phase I Burke Mountain Heights Coquitlam home development; the Paramount, Ambleside, Fairview & Ridgewood plans. Each presale Coquitlam home will feature three or four bedrooms, soaring ten foot main floor ceilings, large windows with transoms above, two car attached garages, beautifully landscaped front and rear yards including fencing, and gorgeous finishings throughout. Best of all, you can customize your new Coquitlam Burke Mountain Heights home in our on site Foxridge Homes Design Centre located in our showhome, to make it your very own. Come and experience the outstanding views from our existing two showhomes in our Phase I Coquitlam Burke Mountain Heights home development. The beautiful Burke Mountain Heights Ambleside show home boasts three south-facing patios and the Fairview plan is ideal for backyard entertaining. 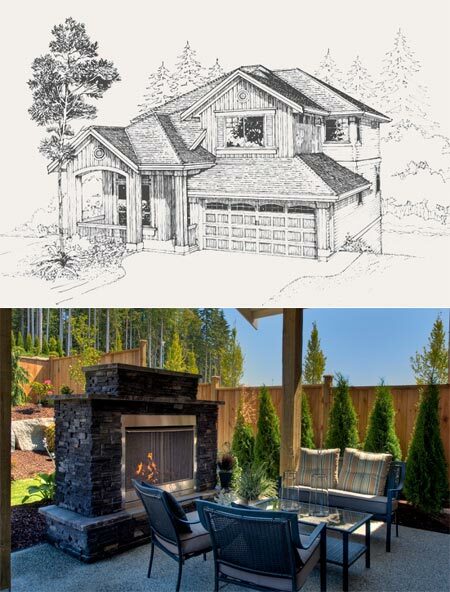 The spacious backyard of this Burke Mountain Heights Coquitlam home plan is so large, we’ve featured an outdoor fireplace, a calming waterfall and a garden sitting area. We are located at 3396 Don Moore Drive in Coquitlam, open from noon to 5pm daily except Fridays. Thank you for your interest and we will email you again as soon as we have more information to share with you for Phase 2 of the Coquitlam Burke Mountain Heights home development. Burke Mountain Heights Sales Team, Foxridge Homes – Sales Office: T: 778.285.6299 or F: 778.285.6069 or E: burke@qualicogroup.com. ** If you want to stay updated on our new Coquitlam home development, follow us on www.twitter.com just search ‘BurkeMtnHeights’ and click follow. January 2011 Update – Burke Mountain Coquitlam Homes by Foxridge New Release of Homes! Foxridge Homes is pleased to announce that they have released new homes at Burke Mountain Heights Phase 2 on the Foothills at Burke Mountain Coquitlam real estate market. Here are the details for the new single family home release by Foxridge. Presale Pricing is as follows. Please note that net HST is included. – Lot 23 – Paramount B Burke Mountain Coquitlam House – $741,900* – Ready to move in now!! – Lot 24 – Braeside B New Coquitlam Home – $741,900* – Ready to move in now!! * Pricing also includes granite kitchen countertops, hardwood floors on the main level, upgraded carpet throughout and upgraded nickel spindles in the stairwell. Lots 2, 3, 4 and 5 all back or side on to West Smiling Creek. The new ‘Must see’ Braeside plan (walk-out basement) at the new Coquitlam Burke Mountain Heights Phase 2 development is a gorgeous 3 bedroom home similar to the popular Ambleside plan but has a larger kitchen with a longer island and bartop. Back by popular demand from our first phase, we are happy to announce the Abby plan will be built on lot 15 at Coquitlam Burke Mountain Heights Phase 2. Drop by and see Sherry or Susan at Burke Mountain Heights for more details. The Burke Mountain Heights Show Homes & Sales Office are located at 1342 Fifeshire Street Coquitlam, BC and they are Open Daily 12-5pm. The Ambleside floor plans features twenty one hundred square feet of living space on the top two levels, which is very big for any family or couple. The Ambleside Burke Mountain Heights floor plan features a large entertainment style kitchen which also has a raised breakfast bar on the island in addition to a separate formal dining room with vaulted ceilings. The Coquitlam Burke Mountain Heights Ambleside floor plan has a master bedroom with vaulted ceilings on the upper floor in addition to a spa inspired ensuite bathroom. Also on the upper floor are two additional bedrooms that share a ‘Jack & Jill’ bathroom (both rooms enter the bathroom on opposite sides). The unfinished walk out basement of the Burke Mountain Heights Coquitlam Ambleside floor plan is one of the largest and features an impressive one thousand one hundred and seventy square feet of living space. Foxridge Homes can finish the basement at an additional cost. The Coquitlam home plan called the Fairview floorplan at Foxridge Home’s Phase 2 Burke Mountain Heights features a very bright and airy 2300 square foot plan for the upper two stories. The stunning West Coast architecture and curb appeal features balconies off the front and verandas. The Burke Mountain Heights Phase 2 Fairview floor plan is a perfect layout for families and presents a large great room, oversized mudroom/laundry room and level access to a beautiful back yard. The upper level of these new Coquitlam homes for sale will feature three very large bedrooms plus a family lounge. For families requiring an additional bedroom, theree are alternative upper floor layouts that can be adjusted to fit a fourth bedroom. Again, the Fairview floor plan at Burke Mountain Heights Phase 2 Coquitlam real estate development can feature a finished basement upon request and at additional cost. The third option for Coquitlam house plans at this Foxridge Home community is the Paramount floorplan which is also 2300 square feet in size (like the Fairview). This bright and open concept layout offers great living and entertainment spaces for families. The Burke Mountain Heights Phase 2 Paramount house plan will feature a spacious kitchen with lots of counter top space anc cabinetry in addition to tonnes of room for you to cook as well as entertain friends and family. In addition, this new Coquiltam house plan by Foxridge Homes features a second level with a large master suite with a sitting area. There are also 3 more bedrooms upstairs, which is great for large and growing families. The full walkout basement of the Coquitlam Paramount house plan can be finished by Foxridge Homes at additional costs, and will effectively add 1100 square feet more of functional living space. Featuring 2193 sqft of living space on the main and upper floors, the Ridgewood home plan at Coquitlam Burke Mountain Heights by Foxridge Homes was one of the most popular layouts in Phase 1 releas. The three bedroom home plan has an option to convert to four bedrooms just like the Fairview floor plan if required (on the upper level). A well planned and functional home, the Phase 2 Burke Mountain Heights Ridgewood Coquitlam home plan features a lovely open great room and balcony off the drawing room in addition to a wrap around veranda at the front entry way and a patio/deck off the dining area for extended entertainment space. The basement of nine hundred square feet can also be finished by Foxridge Homes at additional costs, making your home even bigger for your family. 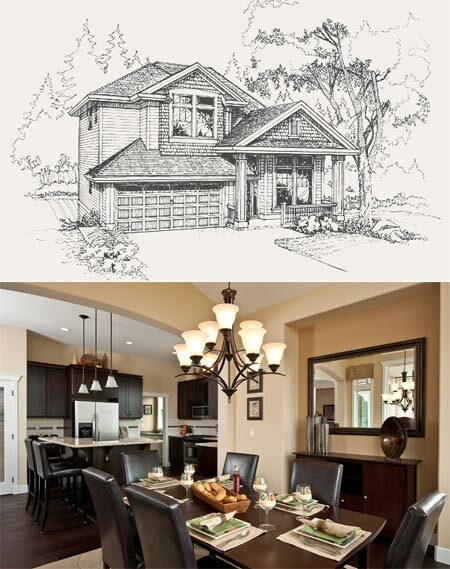 This is a beautiful Coquitlam family home plan and will be the show home for Burke Mountain Heights Phase 2. Phase 2 of Foxridge Burke Mountain Heights Development – The Wait is Over! For more information about the pre-construction Coquitlam Burke Mountain Heights Phase 2 release of single family homes, please visit www.burkemountainheights.com or register online at the Foxridge Homes web site today.